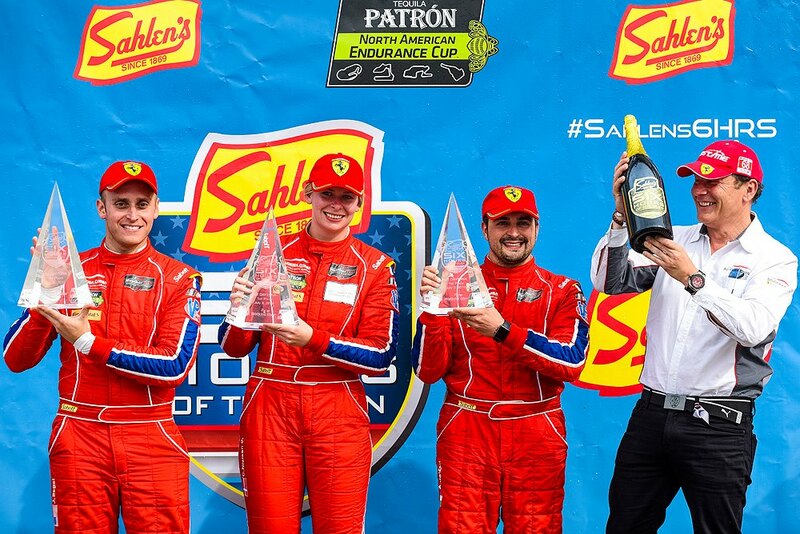 July 3, 2016 (Watkins Glen, N.Y.) – For the second time this season, Scuderia Corsa has found IMSA’s victory lane, marking Team fourth consecutive GTD Class podiums in five races. The victory, which was the fourth straight podium for Nielsen and Balzan, have allowed them to grow their lead in the drivers’ championship to 13 points. 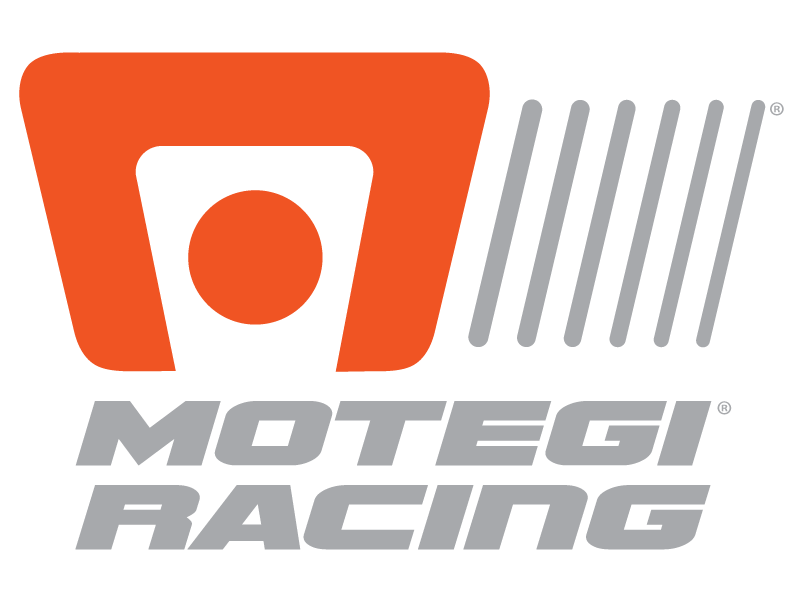 With Watkins Glen also being the third round of the North American Endurance Cup, the team also moved into third position in the NAEC championship. 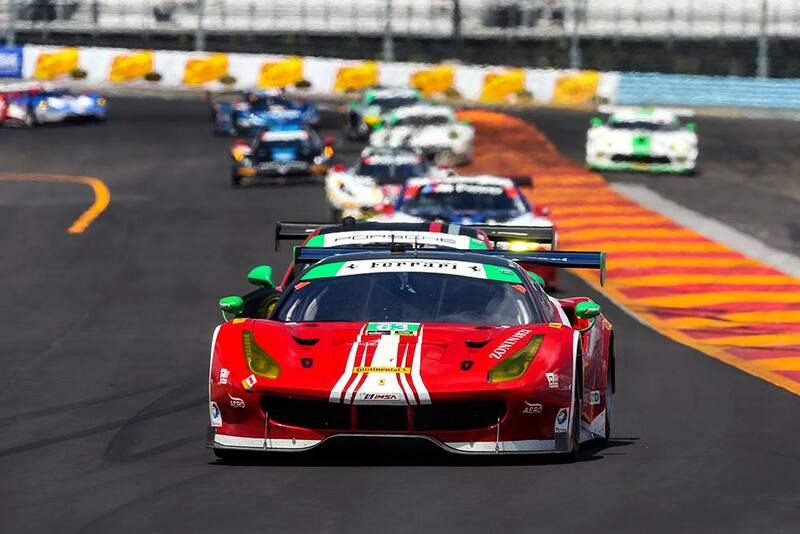 Tasked with taking the Ferrari to the checkered flag, Balzan battled through the GT-Daytona field and then held off that same field from two restarts in the final hour. After six hours of racing, margin of victory was 1.8 seconds. In the GT-LeMans class, the no. 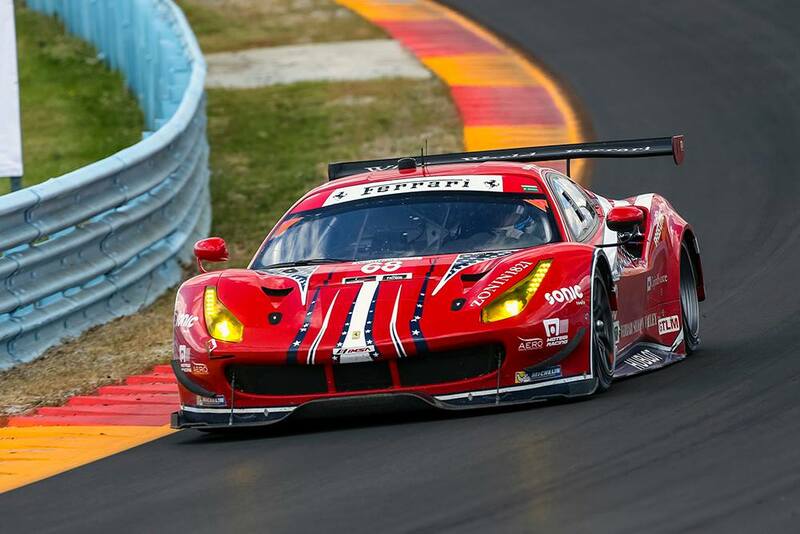 68 Scuderia Corsa Ferrari 488 GTE was driven by Daniel Serra and Alessandro Pier Guidi to a fifth place finish. An aggressive strategy decision by the team put the car solidly into third position in the final hour, but late race cautions erased its track position and left Serra vulnerable to cars immediately behind him who were on fresher tires. “Today we had to overcome several issues” said Team owner Giacomo Mattioli. “I am extremely proud of the crew and drivers; it is in the adversity that you see the quality of the Team. Our crew and drivers at N.68 did the best they could to fight an uphill battle due to the constrains of the BoP”. 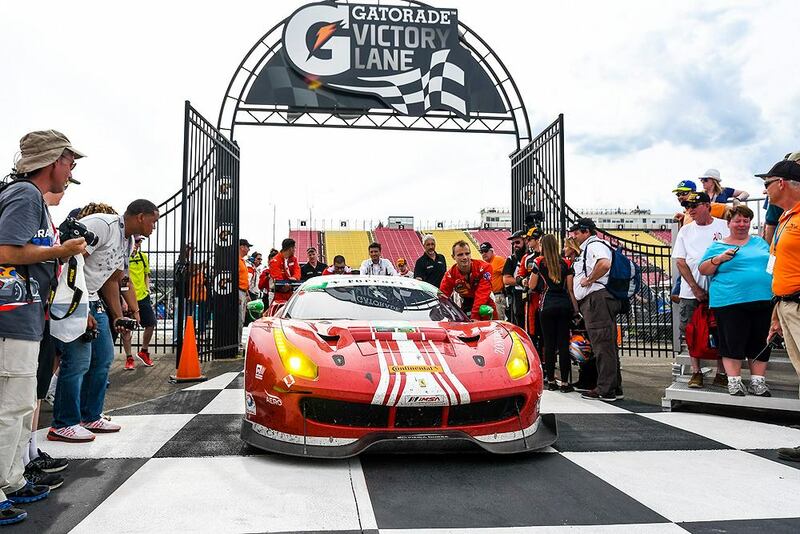 Scuderia Corsa’s GT-Daytona Ferrari will compete again this coming week, July 8-10, at the Canadian Tire Motorsports Park in Bowmanville, Ontario, Canada. Ferrari Beverly Hills / Los Angeles / Silicon Valley / South Bay – North America’s premiere Ferrari dealership group specializing in new and pre-owned sales, Classiche designation work, collision repair and factory trained service and original parts. Robert Graham – with its retail presence in more than a dozen countries around the world including New York City, Los Angeles, Dallas, Toronto, Montreal, Vancouver, and Dusseldorf, Robert Graham is ‘American Eclectic.’ Since its launch in 2001, it introduces sophisticated, eclectic style to the fashion market as an American-based company with an intention of inspiring a global movement and includes four menswear and women’s wear collections a year—spring, pre-fall, fall and resort. Pacific Western Bank is a Los Angeles-based commercial bank with over $21 billion in assets. Pacific Western provides commercial banking services, including real estate, construction, and commercial loans, to small and medium-sized businesses through 80 full-service branches throughout the state of California. Its CapitalSource Division delivers cash flow, asset-based, equipment and real estate loans, as well as treasury management services to middle market businesses on a national basis. The Square 1 Bank Division, headquartered at Pacific Western’s Durham, North Carolina branch, offers a comprehensive suite of financial services focused on entrepreneurial businesses and their venture capital and private equity investors, with offices located in all key innovative hubs across the United States. Pacific Western Bank is a wholly-owned subsidiary of PacWest Bancorp (NASDAQ: PACW). Ferrari Palm Beach – Providing the exclusive Palm Beach market with a premium inventory of new and pre-owned Ferraris, state-of-the-art facilities and technicians for expert maintenance and repair. Wide World Ferrari – Located in Spring Valley, New York, offering Ferrari customers a premium selection of new and pre-owned Ferraris, expert authorized service and exclusive Ferrari certified body repair. Zonin USA –Zonin USA is wholly owned by Casa Vinicola Zonin S.p.A. in Italy, a company of seven generations of wine makers with eleven estates located in the most prestigious wine growing areas in Italy. Hublot – A champion of innovation, Hublot revolutionized the watch industry with the introduction of the Big Bang, a multiple award winning timepiece created using a combination of precious metals with rubber. Since then, the Swiss brand has become universally known for the concept, “Art of Fusion.” From in-house watch complications to world-class collaborations, Hublot is constantly evolving and looking to the future. PassTime – PassTime GPS has been in business for more than 25 years in the global transportation industry. Our wireless GPS products are available to auto dealers, auto finance companies, auto leasing companies, insurance companies and fleet transportation provider’s in the USA, Canada, Europe, Latin America, Middle East and Asia Pacific. SONIC Tools – SONIC Tools is the North American subsidiary of Sonic Equipment, the world’s market leader in premium hand tools and tool box systems for both commercial and consumer use. The company’s mission is to elevate efficiency in the professional workshop through its premium hand tools and unique tool organization solutions. Sonic Tools’ precision-crafted tools, toolboxes and wall systems are found in the world’s most progressive automotive enterprises, and personal garages.